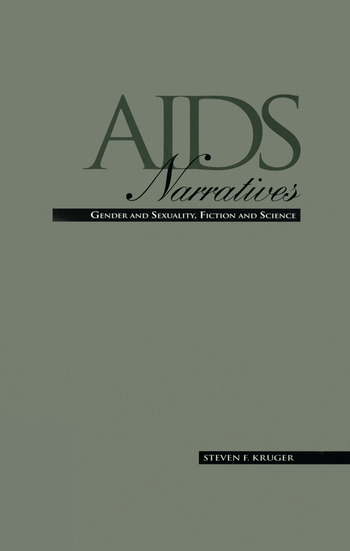 "In this comprehensive and provocative work, Dr. Kruger first looks at how the scientific research community talks about AIDS, exposing a preconstructed narrative of sexist and homophobic thinking; he then explores how AIDS lives in contemporary novels, focusing on the power of the writer's imagination to tell another story, a story that forces us to see the limitations of our society's response to AIDS and the people that live with it. This book is marked by a passionate caring for how writers can make us think and feel anew, how their creative visions can move us away from predictable metaphors to texts that call us to action because they are complex, funny, challenging, and relentless. This book is an excellent academic study of literary texts; it is also a living engaged work that stays with the reader. We are all part of the narrative of AIDS." -- Joan Nestle, Co-founder of the Lesbian Herstory Archives, Inc.